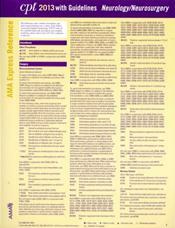 Each double-sided, laminated CPT 2013 Express Reference coding card is designed to facilitate proper CPT coding by supplying more than 350 of the most commonly reported CPT codes per medical specialty. These easy-to-use reference cards allow health care providers and staff members to easily locate a desired code, which can then be referenced in the CPT code book. 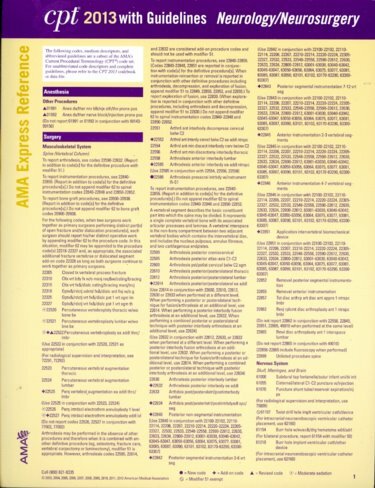 AMA Exclusive - Includes CPT medium procedural descriptions with color-coded CPT symbols and official CPT guidelines. Formatted in alphabetical order under procedural categories - Allows for quick CPT code look-ups. Authoritative and fully integrated. Instant portability - Cards are designed to easily fit into the CPT code book.